Valencia hosts Eibar in a match from the 35th round of the Spanish La Liga. Let’s have a look at this game at the Estadio Mestalla in Valencia. Valencia are doing very well this season. They are 4th in La Liga’s standings and they will return to the Champions League for the next season. They are just two points behind the 3th Real Madrid and they have 10 points advantage in front of the 5th Real Betis, so they can be calm about their position in the league. So far Valencia have a record of 20 wins, 6 draws and 8 losses. Their performance this season is a huge improvement compared to the last one. The manager Marcelino is doing a great job with the team and he deserves a lot of credit for his work. He managed to stabilize the team and make it a Top 4 contender once again. In their last five games in La Liga Valencia won twice, suffered two defeats and made one draw. Right now they are in a run of three consecutive games without a win, so most surely they would want to stop this run against Eibar. Speaking of Eibar, they are 12th in La Liga with 43 points won so far. Eibar have a record of 12 wins, 7 draws and 15 defeats. In their last five matches they won once, made one draw and suffered three defeats. In the previous round Eibar suffered a 0-1 defeat against Getafe at home. Valencia are the strong favourite in this match. They are in a bad run of results at the moment, so they would want to stop it with a win against Eibar. 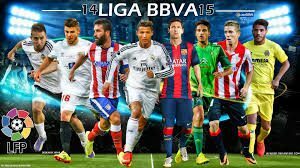 They are one of the best teams in Spain at the moment and they will want to show it.